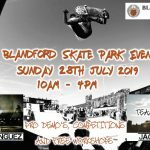 Long Eaton skatepark was built by Freestyle and opened in 2012. 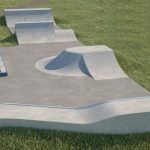 It is a large all concrete park found in West Park and features something for everyone whether you are a transitions or street based rider. On the far side is a wide concrete mini ramp with a small extension at one end and facing driveway. The back side of the mini ramp is joined to another long quarter pipe forming a spine that is next to this driveway and they both lead out into the main body of the park. Following these is a flat bank leading up to a street plaza section with ledges, manny pads, rails and hubbas. The other side of which leads into a large flat open area with a bowled edge with extension and a taco on the opposite side. 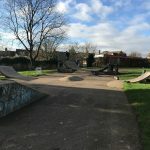 Long Eaton is a really nice skatepark with an original and creative layout. There are a lot of lines you can hit here with a lot of pumping opportunity meaning if you choose the right ones you won’t even have to push. You could easily spend a day here hitting all the lines and the obstacles are not too challenging if you are a beginner trying to learn the basics as well. Long Eaton train station: Exit Long Eaton onto Wilsthorpe Road and head north crossing over the roundabout and the river until the next roundabout. Here take the right turn that exits into West Park, and here is where Long Eaton skatepark can be found. West Park Leisure Centre bus stop: Exit the bus onto Wilsthorpe Rpad and head north until the roundabout. Here take the right turn that exits into West Park, and here is where Long Eaton skatepark can be found. 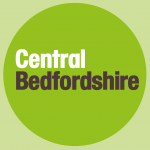 There are no on site toilets but there are free to use facilities in the nearby leisure centre.